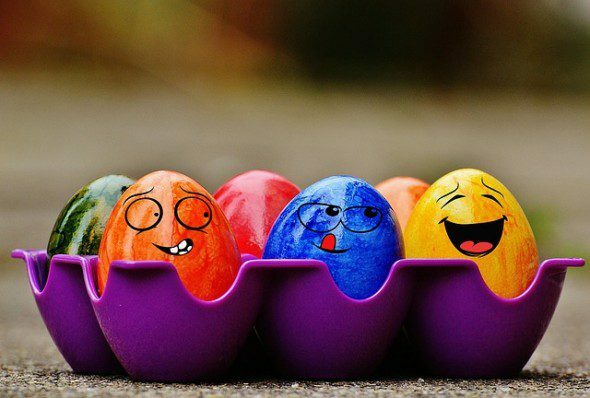 Don’t be a bad egg, make sure your Easter promotions are cracking. Spring is coming and marketers may want to take advantage of the bank holiday weekend by promoting Easter sales to encourage people to buy their products. Don’t end up with egg on your face; follow these top tips to make sure you don’t break the Promotional Marketing rules or mislead consumers into shelling out for something that they otherwise wouldn’t have. Many promotions will make savings claims stating that the consumer can save money by buying from them, such as “40% off” or “Save £100”. These savings claims must be based on the genuine price at which the product is usually sold, they must be accurate and they must not exaggerate the saving that could be made by the consumer. Generally, the sale price should not be available for longer than the normal price, and the reference price given should be the most recent price available. Rule 8.17 requires that ads for promotions include all significant conditions that it would be misleading to omit. These are conditions which could affect whether someone chooses to participate in a promotional offer or not. These will differ depending on the promotion but normally include a clear explanation of how to participate, a closing date, the nature and number of prizes or gifts, any restrictions on who can participate, and availability. Significant conditions should usually be made clear in the initial piece of marketing material. Ads for sales often encourage consumers to make a quick decision, and take advantage of a deal before it’s too late, but marketers should ensure that their ads do not place undue pressure on consumers to make a decision to purchase and must beware of crossing the line into misleading pressure selling tactics, (rules 3.31 and 3.32). Countdown clocks or ads which highlight a high level of interest from consumers are examples of tactics the Advertising Standards Authoritymay consider problematic for placing undue pressure on consumers to make a decision. Egg-celent promotions drive popularity and demand. Before advertising a promotion you should ensure you have made a reasonable estimate of demand and that you can demonstrate that you’ve done so. If the availability of your promotional items is not enough to meet this demand, or if customers need to make a purchase to qualify for the promotional item, you must make any limitations on availability explicitly clear in the ad – “subject to availability” might not be enough. We offer a complete solution with a range of cost effective, compliance and marketing products and solutions including Copy Advice which are uniquely suited to supporting firms and providing egg-spert guidance. Our Copy Advice service designed to help you create advertising and other marketing communications to ensure compliance and avoid incurring possible infringements and reputational risks. Our recommendation is that the Copy Advice request takes place in the early stages of creative development of the advertisement in order to save you costs.